Prepare to be amazed and feel just a little more unaccomplished. 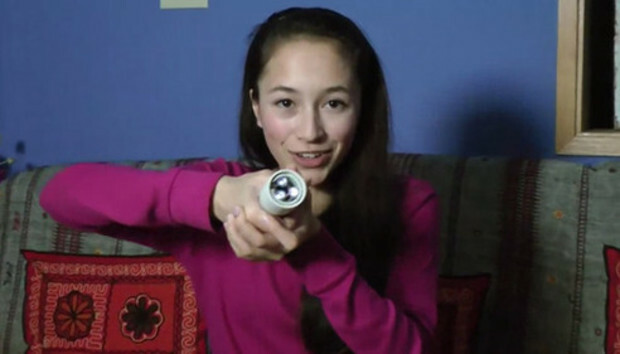 A 15-year-old girl named Ann Makosinski just created a flashlight that you can power using the your own body heat. The Victoria, British Columbia high-school student created a hollow, battery-less flashlight for the Google Science Fair that utilizes Peltier tiles, which produce electricity when you apply heat to one side of the tile (from gripping it with your hand) while the other remains cool. The result is a homemade flashlight that can shine a light for over 20 minutes. Makosinski built the flashlight for just $26 CAD (about $24.76 in the US), which is not too shabby for a something that will never require batteries. In September, Ana will join 15 other Google Science Fair finalists in Mountain View, California for a chance to win the final prize of $50,000 and a trip to the Galapagos Islands. Wood you kindly Lego of my homemade cable car?